Well, it’s Friday and if that’s not enough to make your day how about some Fun Feline Finds? Lets start off with a video featuring a great 80’s tune, a sweet cat (mandatory) and super talented kid. I found this a while ago and absolutely LOVE it, it’s happy, fun, CaTchy, well done and mandatory silly. 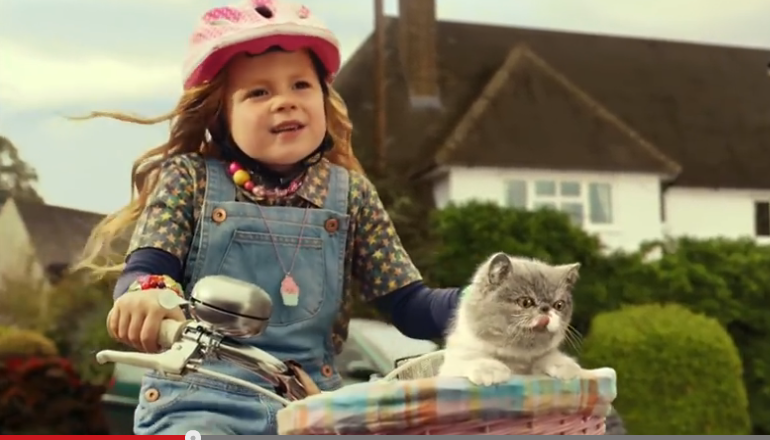 This is from Three.co.uk who have an obvious flair for good marketing and use of cats. Next on my list is something I found while out and about today and it’s perfect if you are heading off somewhere for the weekend or overnight – heck it’s just a fun item to tote your stuff around in. Le Sport Sac Large Weekender in the Hiking Day Print. If you love the idea of proper little cat-like people in hats, dresses riding bikes about a quaint little town then you should pick this up. 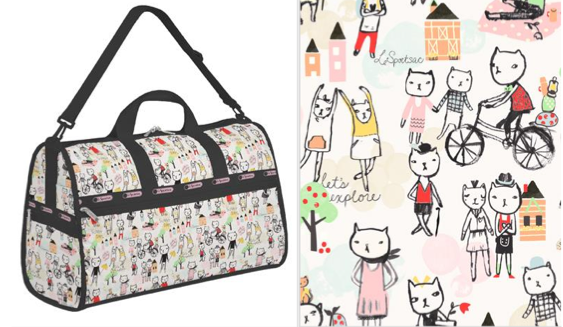 Le Sport Sac also offers multiple styles in this adorable, chic print. Finally, everything is going 3D these days from movies to TV’s but how about bed sheets? 3D bedding is all the rage (who knew?) 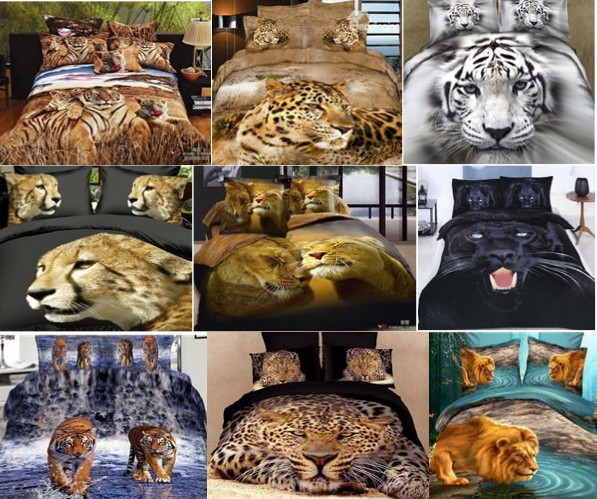 and Beddinginn online store offers some crazy, kitschy 3D digital print bed sheets including duvet covers, pillow shams, flat sheets – ensuring you or a loved one is covered in big cats. Tigers, Leopards, Lions, Panthers, Cheetahs – oh my! This entry was posted in Buy It Give It and tagged 3D bedding, animal print bed sheets, Big cats, cheetahs, Le Sport Sac, Leopards, Lions, panthers, SingItKitty, Tigers, wildlife by Purr and Roar. Bookmark the permalink.